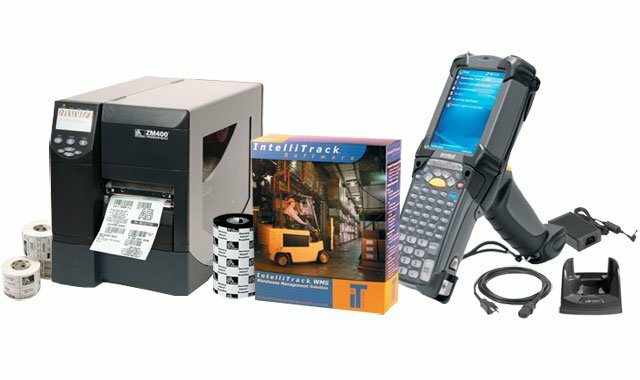 BCI - Includes a Motorola MC9090-G data terminal, Zebra ZM400 printer with supplies, all accessories and IntelliTrack WMS software. Managing operations in a warehouse requires monitoring a number of different processes. BCI offers a solution featuring IntelliTrack WMS software that combines mobile computing with warehouse applications software in order to manage these processes, including shipping & receiving, put away, staging, picking and transferring. The BCI WAREHOUSE-MANAGEMENT-INTELLITRACK-WMS-GOV is also known as WAREHOUSE-MANAGEMENT-INTELLITRACK-WMS-GOV	or WAREHOUSEMANAGEMENTINTELLITRACKWMSGOV	.